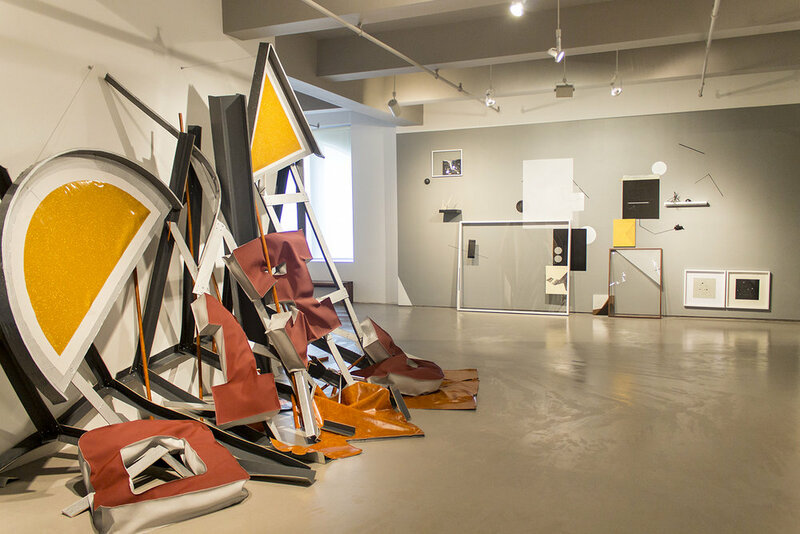 The point of departure for Fasnacht’s installation, created for this show, deals with the demise and demolition of Las Vegas’ Frontier Casino, host of Elvis Presley’s first Vegas appearance (1956) and The Supremes last (1970). The structure, built in 1942, was thought to be secretly owned by Anthony Joseph Zerilli and Michael Polizzi, and later by Howard Hughes (1967) before closing on July 16, 2007 and demolished by implosion on November 13, 2007 as filmed for the National Geographic Channel, Blowdown: Vegas Casino. Here is a 2 minute video showing the bizarre spectacle of the implosion of the building. 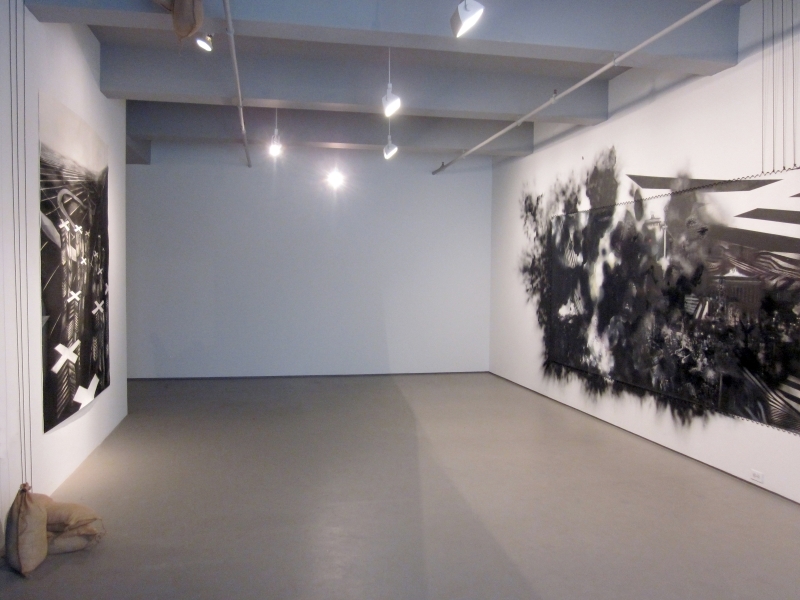 Fasnacht has been the subject of over twenty-five solo exhibitions since her first at P.S. 1 in New York (1979). 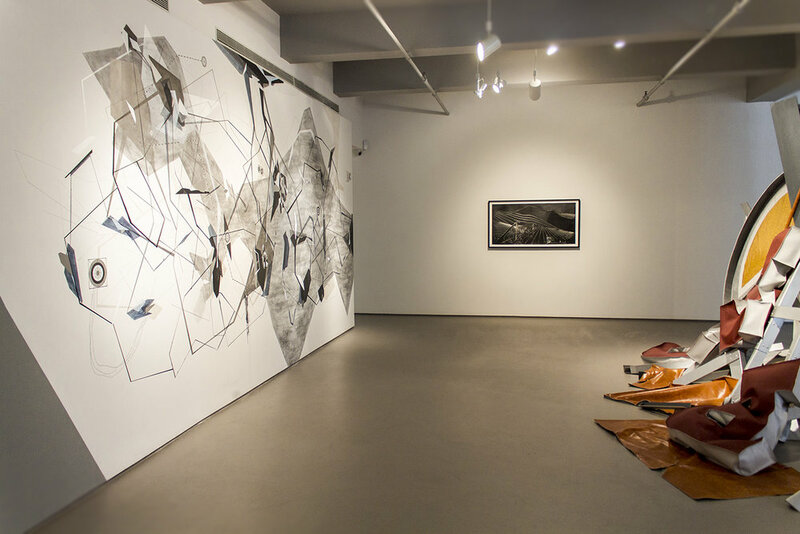 She has been the recipient of numerous awards and residencies, notably the John Simon Guggenheim Fellowship, the Pollock-Krasner Foundation Fellowship, and several awards from the National Endowment for the Arts. Simultaneously to the presentation here, Fasnacht has created a monumental outdoor project for Socrates Sculpture Park opening on May 17 and continuing through the Summer. Born and raised in the USSR and relocating to New York City at age 9, Pinkusevich’s world view has been rooted in change. Her ability to adapt and observe has served as a central tool for harnessing a unique and fluid vision. With some authors claiming that Malevich’s Suprematism is rooted in traditional Ukrainian culture, Pinkusevich follows the footsteps of Malevich defining his “additional element” as the quality of any new visual environment bringing about a change in perception with a series of aerial views rendering the familiar landscape into an abstraction. Presenting an immersive visual environment that stays true to an architectural design methodology is an ongoing pursuit for Pinkusevich. 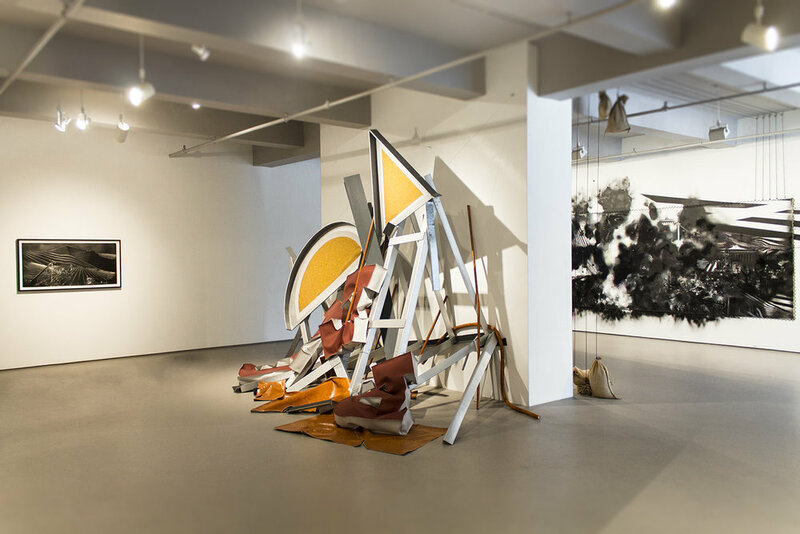 It is ever present in her installations using salvaged everyday materials and it is how she guides her examination of the intersection of urban and rural economies. With Global Utopia of Futures Pastoriginally executed for an exhibition at Stanford University, along with Silencing the Cacophony specifically created for this show, the juxtaposition of these ephemeral materials forces us to see time as a construct, ultimately reminding us of the fragile, intimate relationship we hold with the Earth. Pinkusevich holds a BFA from Rutgers University and an MFA from Stanford University. Following her time as a lecturer at Stanford, she has recently joined the faculty of Mills College. Yulia Pinkusevich currently lives and works in Oakland. Utopia of Futures Past Installation Video. 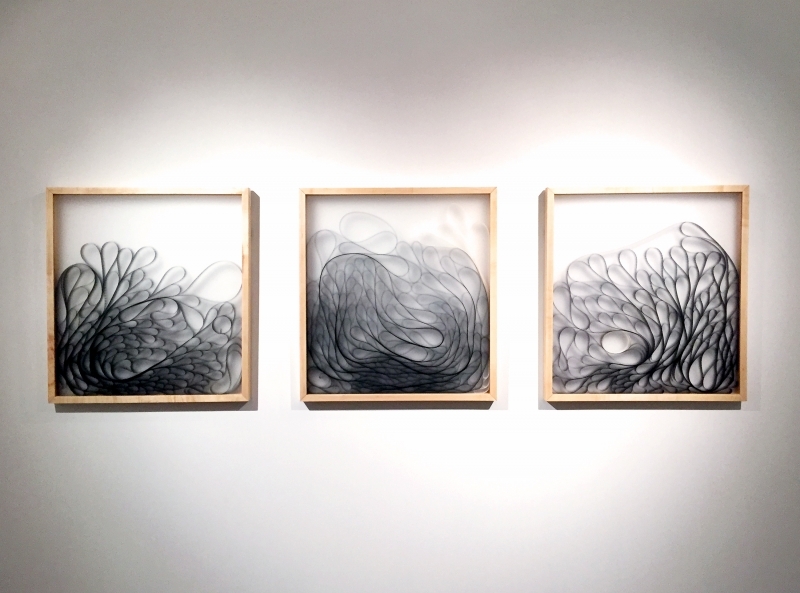 Born into a family of steamfitters in Upstate New York, Dannielle Tegeder‘s first visual education was at the kitchen table while her father and uncle drew mechanical diagrams of jobs they were contracting in New York City. These pragmatic bare bone renderings of architectural systems anchored Tegeder’s interest in utopias, urban planning, modernism, and the history of European abstraction. 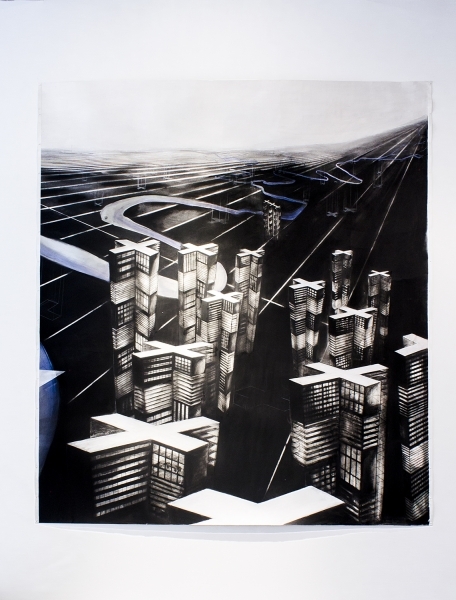 Today, Tegeder’s wall drawings and paintings comment on infrastructure of the locales she’s invited to engage, and compositions are coded with a personal palette of symbols that become embedded into each work. 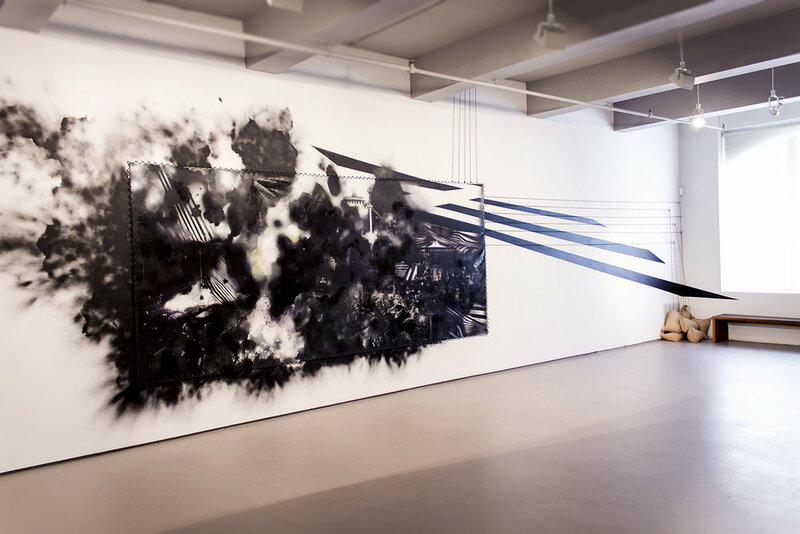 To be executed in the main gallery, Tegeder will be constructing a large-scale site-specific wall drawing using acrylic, graphite, and inks into an elaborate network of fictional language, coded maps, and mechanical systems. 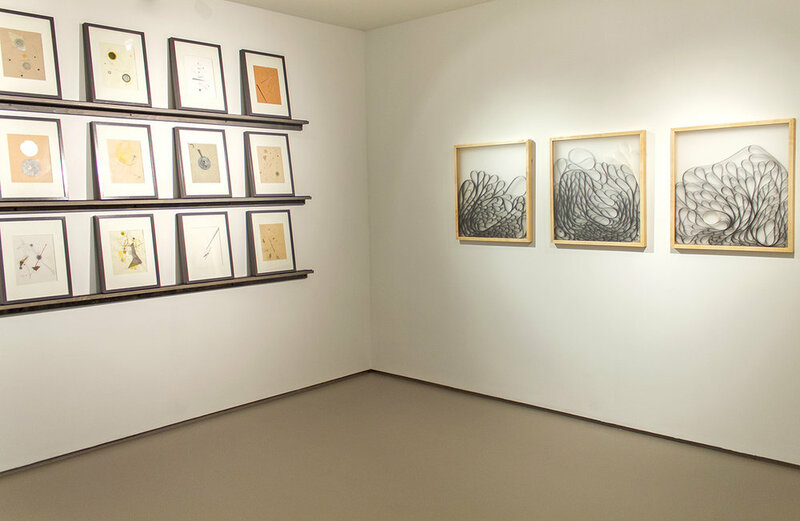 Adjacent to the wall drawing will be a hive of framed drawings that gather into one tableau made for this exhibition. Accompanying the larger works, we will exhibit a selection of Tegeder’s drawings in the project space referencing the dialogues of the Russian Constructivists and El Lizzitsky’s Prounenraum, 1923. This collection of drawings has been selected from a larger body of work entitled The Library of Abstract Sound.